This explains the “cottonmouths” encountered in the Appalachians and northeastern states. 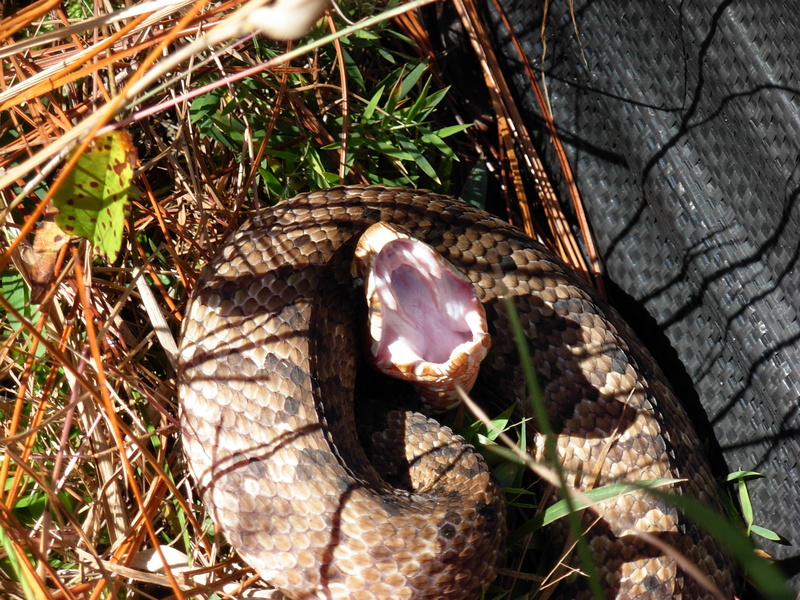 It also might be responsible for much of the cottonmouth’s reputation for aggressive behavior. Water snakes are defensive when cornered, and they can look pretty intimidating. Unfortunately, this often backfires and gets them killed by people who think they’re venomous. 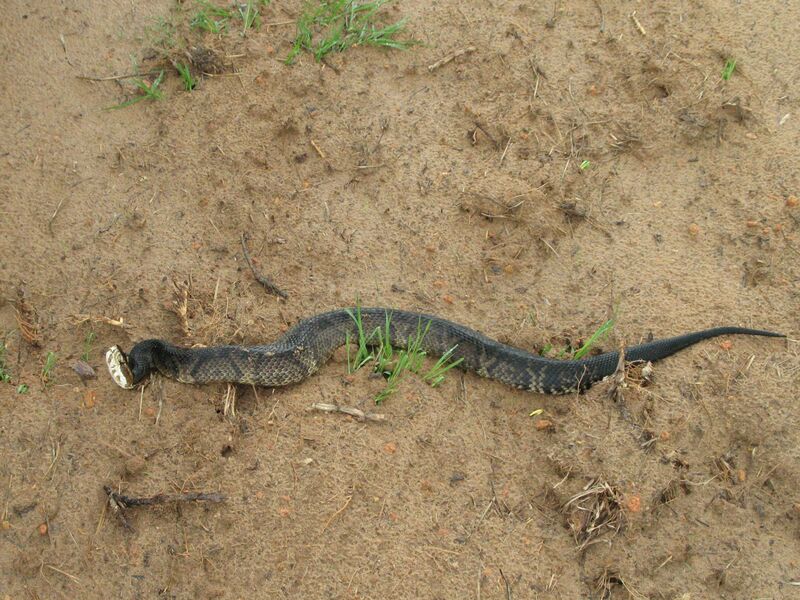 But if you’ve seen a cottonmouth that feels threatened, you’re unlikely to confuse the two again. Cottonmouths get their name from their very distinctive defensive posture, in which they flatten their bodies to look even bigger, raise their heads, and open their mouths wide to display the white inside and the fangs. This is a warning, and it is a good idea to heed it. Cottonmouth in defensive posture. Don’t push your luck. The actual range of cottonmouths is much smaller than that of the various water snake species combined. They live in swamps, rivers, and lakes in the Southeast coastal plain, the Gulf states, and a bit of the Midwest, including parts of Oklahoma, Missouri, and Indiana. If you see one, the best thing to do is walk around, giving it a few yards of space. What about Ohio? I’ve heard people claim to see them here too. Ranges do change over time, but Ohio is pretty far outside any range maps I can find. Here’s the known distribution, as of 2005. ETA: I seem to have found the limits of HTML in comments, causing my linked image to vanish. Oops. The link (without image) should work now! Forgot to add: Ohio does have copperheads, which look quite a bit like young cottonmouths.